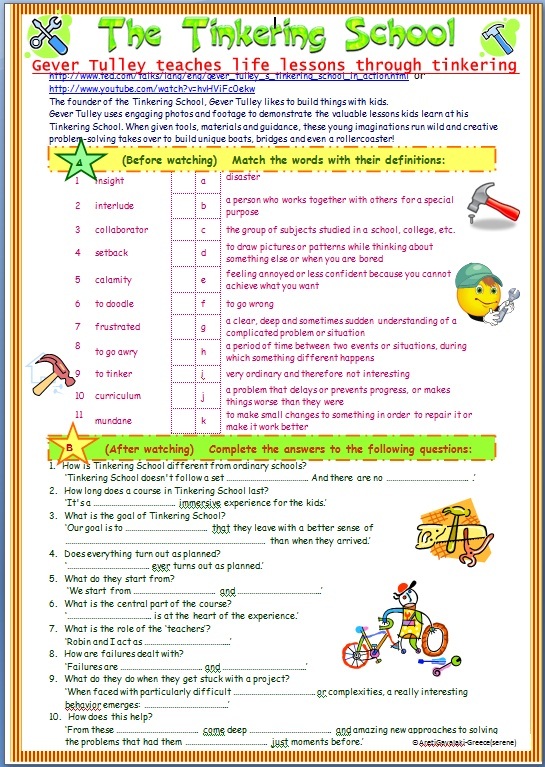 This worksheet is based on a TED video about a different kind of school. 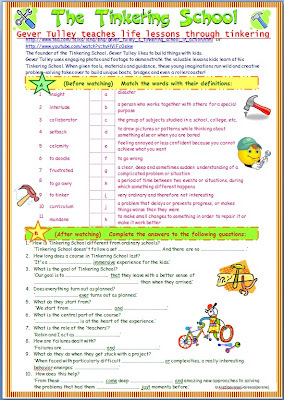 It contains a vocabulary matching activity (to be done before watching in order to enhance the students´ comprehension of the video), and a set of comprehension questions. After watching, the students are asked to complete the answers with the missing words or phrases.